Patriarch Kirill pointed out that Antarctic is a unique place where people are not involved in rivalry and military activities. 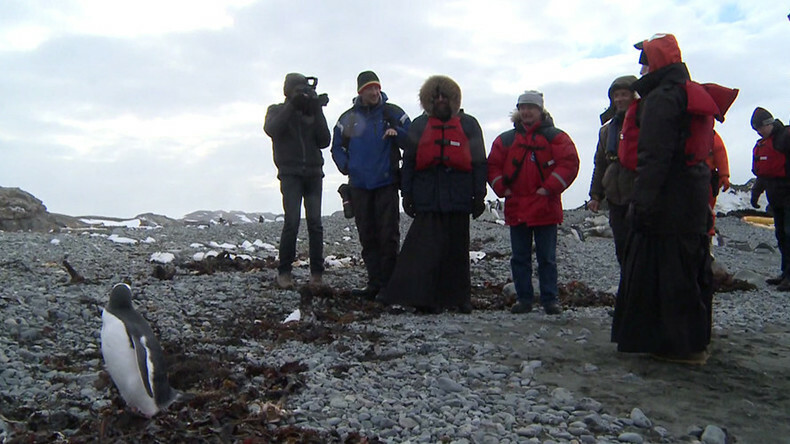 The religious leader is seen walking the shore in a warm polar coat donned over his traditional robes, while scientists talk to him about the penguins and their behavior. 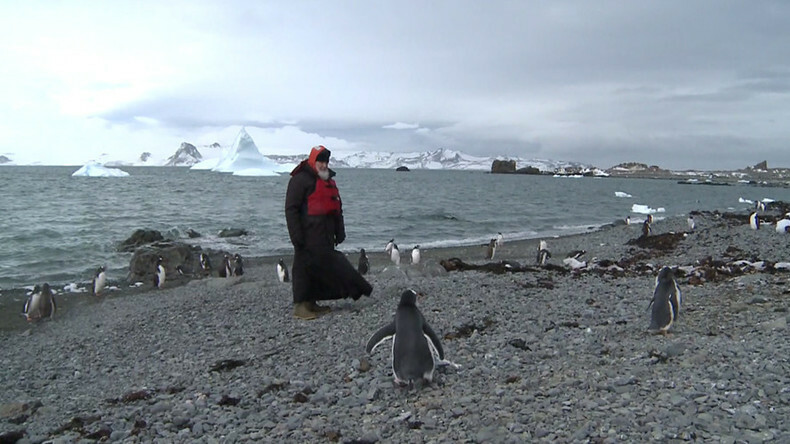 Russian Patriarch reaches South Pole to bless polar explorers and... penguins. Опубликовано RT Play 18 февраля 2016 г. “Nobody waited and expected that the patriarch would come here. I have never seen him closely and when I met him the goodness spread over my soul. I think everybody experienced that,” Father Veniamin, senior priest of the Holy Trinity church, told RT. “It is sometimes difficult for people to work here – it is boring, there is no greenery. One wants to see his beloved and suddenly the man [patriarch] arrives with such a visit, says some words and one feels better,” he added. 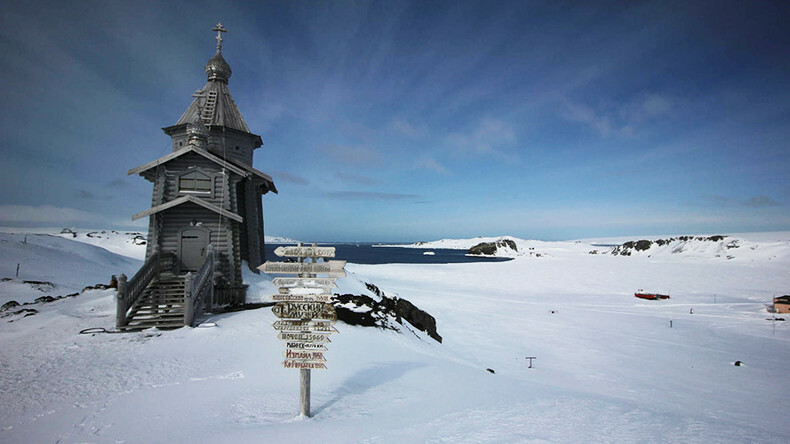 The wooden Holy Trinity church was built in the early 2000s and is the only permanent place of worship in the Antarctic. The visit comes as part of Kirill's Latin America trip, which saw an unprecedented historic meeting with Pope Francis in Havana on February 12.